Of course, the President has a great knowledge of history, unlike most Americans, and certainly unlike many in the GOP. But that has little to do with trying to score political points. To understand why the Obama approach was not only correct, but safe, one needs to turn back the clock and review the history of Iranian-American relations. To begin, however, allow me the opportunity to conduct a brief survey of modern Iranian history. Today, when we look on maps of the world, we can find the country of Iran. However, for much of that country’s history, it was known as Persia, which was flanked by the Ottoman Empire (in the west) and, until about the end of the 18th century, the Mughal Empire (in the east). In 1501, a young man named Isma’il commanded forces into Tabriz, which he captured. Isma’il proclaimed himself Shah of the new Persian state, thus marking the beginning of the Safavid dynasty. Not only did they expand their territory into parts of Iraq (including Baghdad), but Isma’il also introduced Shi’ism as the official state religion, which, at the time, was regarded as a heretical threat to the Sunni followers of Islam. The Sunni Ottoman Empire regarded the Safavid empire a threat, and the two empires often clashed. In fact, this concern was justified as Shi’ite preachers from Persia ventured into Ottoman territories to promote rebellion and revolution among the Sunni population. Within the Ottoman Empire it was dangerous to be a Shi’a; within the Safavid Empire it was dangerous to be a Sunni. However, under the rule of Shah Abbas 1 the Great, the Ottomans and the Persians reached a peace deal, under which the latter lost a considerable amount of territory to the Ottomans. It was during this period of relative peace that Abbas began to transition the Safavid Empire away from a collection of tribes (Turkish, Kurdish) and into an established Empire, complete with a ruling bureacratic elite. To combat the growing tensions with the tribal leaders, Abbas created an army composed of slaves captured during a previous war. Personally financed and completely loyal to the Shah, this army reached a strength of 37,000 troops. He also began a process of dispossessing tribes and aristocrats of their land, keeping them for the state and pocketing the revenues. He used these funds to begin beautiful construction in the empire’s capital Isfahan. He created an urban center, while making the city’s mosque more elaborate and ornate. This transformation, along with a policy of patronge, attracted scholars and artists, who accelerated the empire’s cultural and intellectual growth. The textile industry saw an explosion in creativity and production, particularly among the weavers, whose imaginative work led to a global demand for Persian rugs. Artists also saw a transformation in style and subjects. The Persian culture flourished under the rule of Abbas 1 the Great. Abbas was really the last effective leader of the Safavid Empire. However, though his successors were incompetent, he had made the neccessary changes to the central government to ensure its survival after his death in 1629. The glory of Isfahan continued, the culture persisted, and a truce was reached with the Ottomans in 1638. Unfortunately, this inward focus, and a lack of outward threats, the Safavids allowed their military to fall into disarray. The weakened army was unable to put up much resistance against Afghan forces in 1722. By the following year the Safavid Empire collapsed, Isfahan had been captured, and an era of decentralization began. It was not until 1794 that another ruler took effective control over Persia. 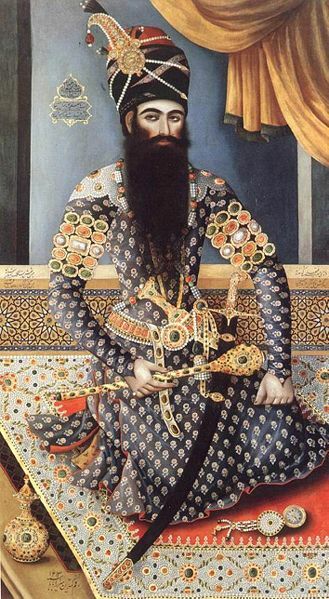 Fath Ali Shah, a Turk, took control of central Persia from Lotf ‘Ali Khan and established the Qajar dynasty. Seeds sown in the creation of the Safavid Empire hampered efforts to create a centralized power in Persia; the major obstacle was the religious establishment, who saw their power as being derived from God. The Qajars, they argued, were temporary rulers, while the Shi’a ulamas were exercising God’s will and thus retained ultimate authority. By the 20th century, the most learned of ulama were granted the title Ayatollah. The Qajar government attempted to bring about social/political/economic reforms, but they were blocked by the ulama, who had the support of the public. It was not as though the Qajars could mobilize the state’s military, as they were pitifully outnumbered by militias run by tribal chieftains who supported the ulama’s claim to authority. The Qajars would seek alternative ways to secure their power. The Qajars moved the capital from Tabriz to Tehran, a secluded town surrounded by mountains, just south of the Caspian Sea. In order to counter the ulama’s power, the Qajars began to rely more and more on foreign powers, such as Russia and Britain. One leader, Nasir al-Din Shah (1848-1896), sought to reform the Persian army. Unfortunately, he lacked the funds to undertake such a project, which forced him to seek assistance from the Russians. His army initially stood at 3,000, but he was able to expand his army through the creation of a Cossack Brigade, which was armed and commanded by Russians. 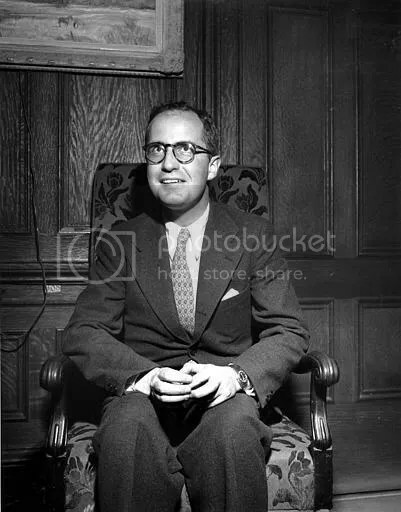 His administration also suffered from corruption and nepotism, which stifled the growth of a professional class. Caught in the middle were the peasants, who suffered the whims of the local chieftains or the Qajar government. Persia as a whole, however, would suffer as Russia and Britain began to exercise its colonial interest in Persia. As Russia made sure to secure itself safe transport of goods through Persia, and as Russia conquered lands surrounding Persia (including Turkestan and Tajikstan), the British grew increasingly concerned about its interests in India. In 1857, the British were able to succeed in gaining the same low tariffs and extraterritorial privilges as the Russians enjoyed. Nasir al-Din, finding himself in an awkward position, began to take advantage of his situation. He allowed both countries to develop and monopolize certain markets within Persia, while personally gaining financial rewards and perks (such as paid trips to Russia and Europe). The prostitution of Persia (particularly the concession in 1872 to the British to build railroads, canals, and dams) led to the creation of a nationalist movement, which sought to overthrow the Qajar dynasty and throw out foreign powers. In 1890, after al-Din granted the British exclusive rights to sell tobacco in Persia, a grassroots movement was undertaken to oppose the Shah. The religious elites, peasants, and merchant class, united to organize a boycott. It was decreed, by a Shi’ite religious leader, that consumption of tobacco as forbidden until the al-Din government revoked its agreement with the British. The resistance was so great that the agreement was revoked in 1892, a sign that the religious establishment in Persia still carried tremendous influence. Broken politically and financially, the al-Din government was forced to subsist on Russian loans. In 1896, al-Din was assassinated, ending his 48 year reign. His successor, Mozaffar al-Din Shah Qajar ruled for a short period of time (1896-1907). Mozaffar was not much different from Nasir al-Din. He too granted foreign powers exclusive rights within Persia, which aggravated the public. He also was forced to take loans from Britain, France, and Russia in order to pay off earlier loans or to pay for his own personal extravagances. This continuation of Nasir al-Din’s much hated policies led to growing opposition from three segments of Persian society: the merchant class, the ulamas, and a growing group of radical reformers. These three groups formed a coalition, which stood up to the Mozaffar administration in an effort to tear down the Qajar dynasty. 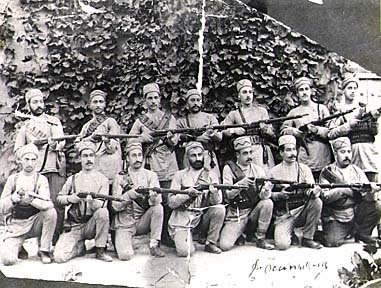 United in their opposition to the Mozaffar administration, this group was able to stage large protests in Tehran in December 1905, and these protests persisted until August 1906. The crowds were so large, and the protests so virulent in their opposition, that Mozaffar was forced to capitulate to the protestors’ demands. The major concession they demanded was the creation of a Western-based constitution. An assembly was selected to draft a constitution, which included two provisions: power was to be allocated between the monarch and an elected legislative body; the second provision outlined the basic rights of Iranian citizens and granted the legislature several more powers, including the approval of ministers. The ulamas were also able to secure their power in the constitution by declaring Shi’ism the official religion, and created a committee to determine the conformity of laws passed by the legislature with shari’ah law. The radicals and the ulama were finding their relationship to be tenuous, as their aims were clearly contradictory. However, they had succeeded in limiting the power of the monarchy. Mohammad Ali Shah Qajar. Mohammad, eager to see his government retain power, he was able to point to the power grabs by Russia and Britain as clear failures of the new constitutional power. There were many in the ulama who supported the monarchy, and were used by Mohammad to condemn the constitutionalists as atheists. He even used the Cossacks to shut down the legislature, round up political opponents, and execute the constitutionalists. His actions threw the country into chaos, thus starting a civil war. After 11 months of fighting, Tehran was seized and the constitution was restored. With Mohammad in exile in Constantinople, Ahmad Shah Qajar took the role of monarch. He was the last of the Qajar dynasty. Despite the success of the constitutionalists, actually governing Persia turned out to be a difficult task. The coalition began to fracture between those who sought to bring about equality and progressive reform and the ulama, who wanted to retain shari’ah law. These ideological differences broke out into armed violence, and the country was again thrown into chaos. Persia’s internal disturbances frightened the Britsh and Russians, who each used their military to occupy their half of the country. The legislative body was dissolved, the government was given control to conservative people who were loyal to their foreign masters. The constitution, more importantly, was dissolved, and the country, despite the purpose of the constitution to limit foreign influences, was dominated by the Russians and British. This was the situation in Persia until World War 1. Following World War 1, the Persian economy was devastated, the country was in turmoil, and it lacked a centralized power. In February 1921, as the country was in the midst of popular unrest over foreign control (again), a young colonel in the Cossack Brigade named Reza Khan marched his troops into Tehran and overthrew the shah. He demanded that Sayyid Zia Tabatabai be appointed Prime Minister, while he took the role of commander. It was only a matter of months, in May 1921, when Reza Khan forced Sayyid to relinquish the post of Prime Minister, that Reza Khan began assuming more and more power. In 1923, Ahmed Shah was asked by Khan to take a European vacation, which he did. He never returned to Persia, living in exile until his death in 1930. 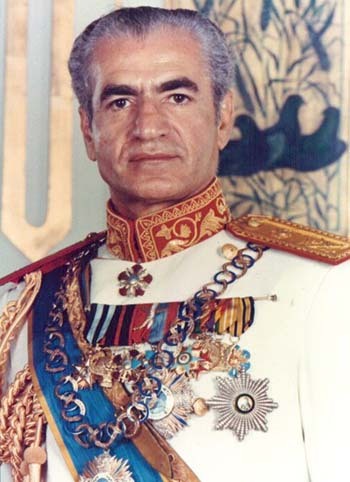 With the shah gone, Khan took the position of Prime Minister, and in 1925 bestowed the power of the monarchy to the Reza Khan family, thus granting Khan the status of shah. The Pahlavi dynasty began in 1926. The Reza Shah, while not an enthusiastic supporter of reform, nonetheless viewed some reform as neccessary to maintain his hold on power. I’ll pick up this discussion in my next blog. It is too late tonight to finish the post on Iran as I had intended, but I do want to first share this video about a young woman named Neda, which means “voice” in Farsi. She and her professor were watching a protest on the streets of Tehran when she was shot in the chest by a sniper. The sniper was a member of the Basij militia, in an attempt to quell the protests. The protests were organized by supporters of reformist candidate Mir-Hussein Mousavi who alleged that the results of the recent Iranian elections were illegitimate, and that the election was rigged by President Ahmadinejad and the Supreme Leader Ayatollah Khamenei. 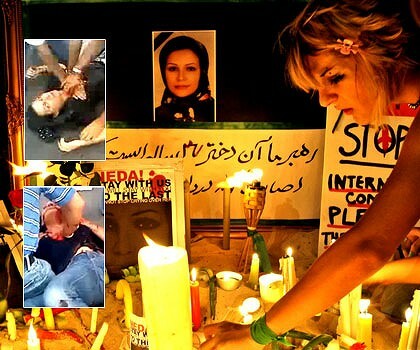 Neda’s murder has become a martyr and her name has become a rallying cry for Iranians looking for freedom. Below are the videos. The first is of Neda and her professor watching the protest, moments before she is shot. The second is of her being taken to the ground, where she dies of a gunshot wound to the chest. President Obama has expressed his sadness over this tragedy, saying, “It’s heartbreaking, and I think that anybody who sees it knows that there’s something fundamentally unjust about that. I think that when a young woman gets shot on the street when she gets out of her car, that’s a problem.” Robert Gibbs, the White House Press Secretary, has blasted the Iranian government for attempting to portray her murder as a fake. “I think the notion that the death of an innocent woman would be staged is – even with them, it’s shocking.” What prompted this comment was a statement from Iran’s police chief Esmaeil Ahmadi-Moghaddam, who claimed that the Neda murder was a “pre-arranged scenario.” President Ahmadinejad has initiated a probe into the murder, adding that foreign media outlets have managed a campaign of misinformation and “widespread propaganda” in an attempt to take down the Iranian government. For those who demand that President Obama do more, I ask you to read my blog tomorrow. It is exactly the harsh statements, saber rattling, and covert interventions against Iran that have gotten us where we are today. Were President Obama to get more involved Ahmadinehad would have the ability to claim foreign intervention, words that go to the heart of every Iranian, and would only succeed in bolstering the Iranian government. I think President Obama has struck the right tone: condemn the violence and crackdowns, but ultimately leave change to the Iranian people. It will come, just as it came to our country. The more the Iranian government cracks down on the protesters, the more angry and resolved the people will become that they need to overthrow the current regime. It happened in 1979, and it will happen in 2009. But, again, I will talk about all of this in my next blog post. Please visit my blog soon to see my blog on how the U.S. created the Iranian monster that we face, and how it will be up to the Iranian people to decide their own fate.